It’s high season for British holiday makers with thousands of us driving, sailing or jetting away in search of rest and relaxation. 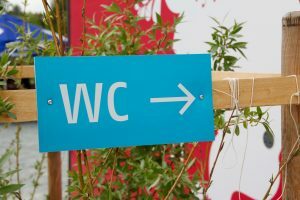 Unfortunately, for those of us with rather sensitive tummies, eating out on holiday can be like running a gauntlet of potential stomach upsets and poop emergencies! A colleague of mine recently returned from a two-week trip to Egypt where travellers tummy stuck her unexpectedly on a day trip to the Dead Sea, I couldn’t help but giggle when she rather proudly announced that in the space of just 10 minutes she’d had to poop in the loos on both sides of the Egypt/Israel border! Seriously though, when you’re trying to enjoy yourself, the last thing you want to be doing is running to the toilet every five minutes. So what can you do to try and prevent the dreaded traveller’s tummy? I advise people to take probiotics daily (beneficial bacteria) for at least two weeks before you travel, during your trip and for two weeks afterwards. These bacteria work to support your immune system and prevent any unwanted bacterial invaders from taking hold in your digestive tract and causing an infection. Choose a good quality probiotic that’s suitable for travel – I recommend the Bio-Kult range which can be bought my online store at The Orange Grove Clinic. For best effect adults should take 4 per day for adults, and children should have 2. Bio-Kult capsules can easily be opened and poured into a glass of water or yoghurt. We also stock GiSol, which contains a yeast organism called Saccharomyces Boulardii, that has been researched for it’s potential to reduce the duration of traveller’s diarrhoea. Take one to two capsules per day (a lower dose for children – the capsule can be opened and sprinkled into food or water). Make sure that any meat you eat is well cooked and if you’re susceptible to traveller’s belly, you might want to think about avoiding salads, which often aren’t washed properly, or if they are, it’s with tap water which isn’t always safe to drink. 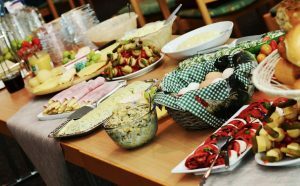 If you’re eating at a hotel buffet, use your common sense over things that are likely to contain bacteria or bugs. This includes tap water, ice in drinks, and fruit that’s not been peeled. Even if the water is safe for the locals to drink, it may have a different mineral content to what your body is used to, and if you’re susceptible to tummy upsets, it’s advisable to always drink bottled water. Always check the seal isn’t broken to make sure it’s genuine bottled water! Stagnant water is a potential source of pathogenic bacteria and parasites. If you’re susceptible to gastrointestinal problems, avoid swimming in lakes or rivers that don’t have a current, even in the UK. 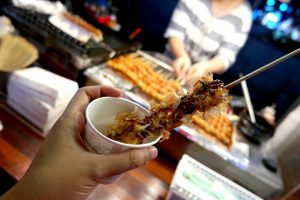 As a well-seasoned traveller who spent many years on the other side of the planet, I know how tempting it is to sample street food, especially when you’re surrounded by delicious smells and the cracking of freshly cooked food. But if you’re one of those people who always comes down with diarrhoea on holiday, don’t take the chance. Hygiene levels are not likely to be up to scratch. You need to be really hot on hygiene whilst on holiday, especially with children who often need to be reminded to wash their hands anyway. Take an antibacterial hand gel away with you to ensure any bugs or germs are killed off straight away, and always use it again just before you eat. It’s worth buying a travel sized gel to carry around with you too, you never know when you might need it! Whether you’re travelling abroad or staying closer to home, here’s to a happy and healthy holiday this summer. Let’s hope we keep the great weather!